Rackham Book Shelf | Great Little Trading Co. 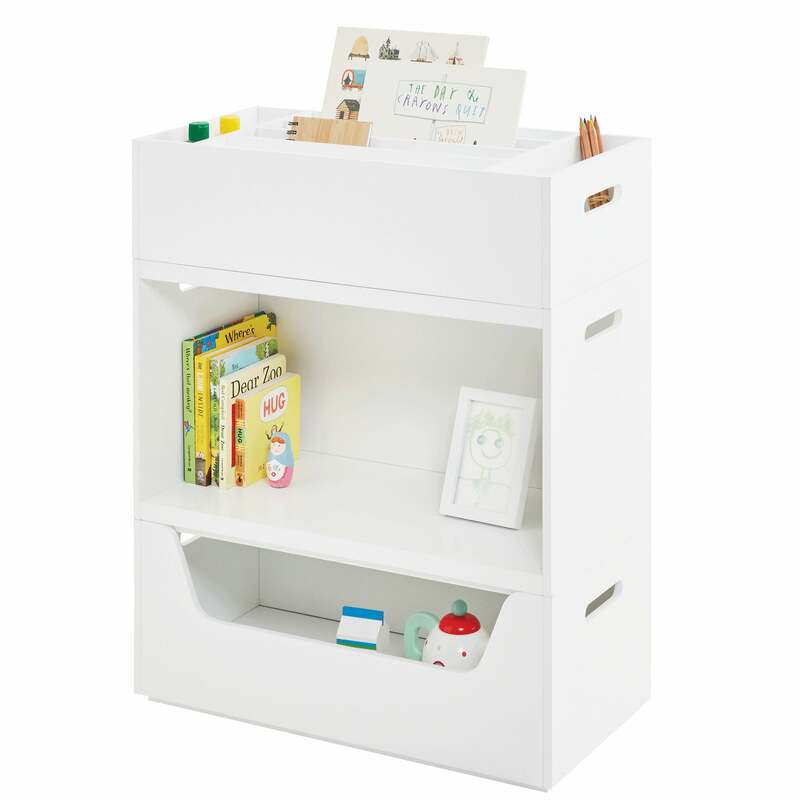 This neatly sized storage hero is ideal for smaller spaces; you can stack up to three more Rackham pieces on top for super organised book and toy storage. 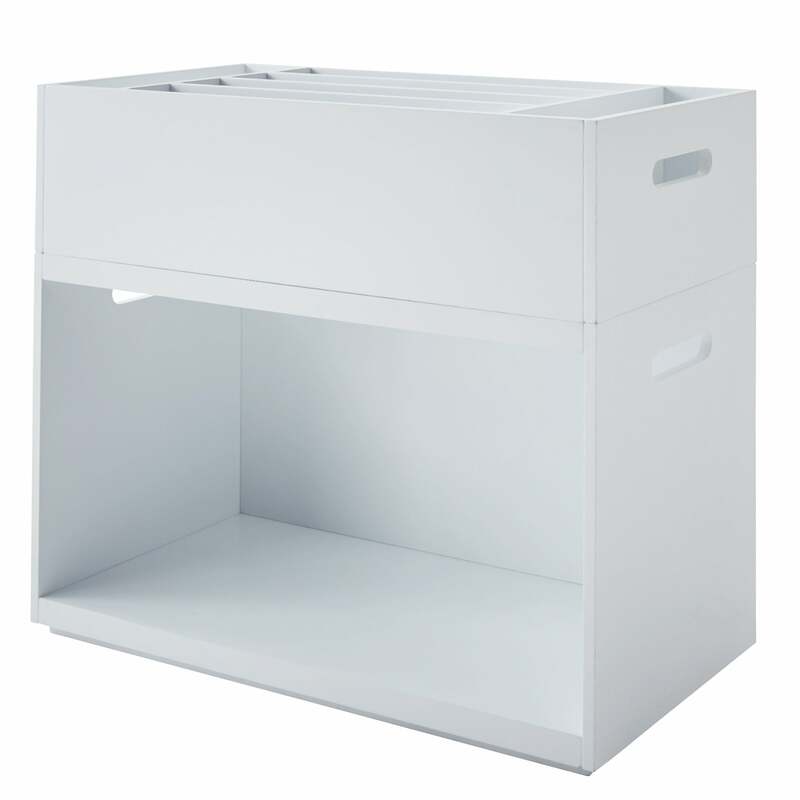 You can accessorise your book shelf with some of our Storage Cubes. 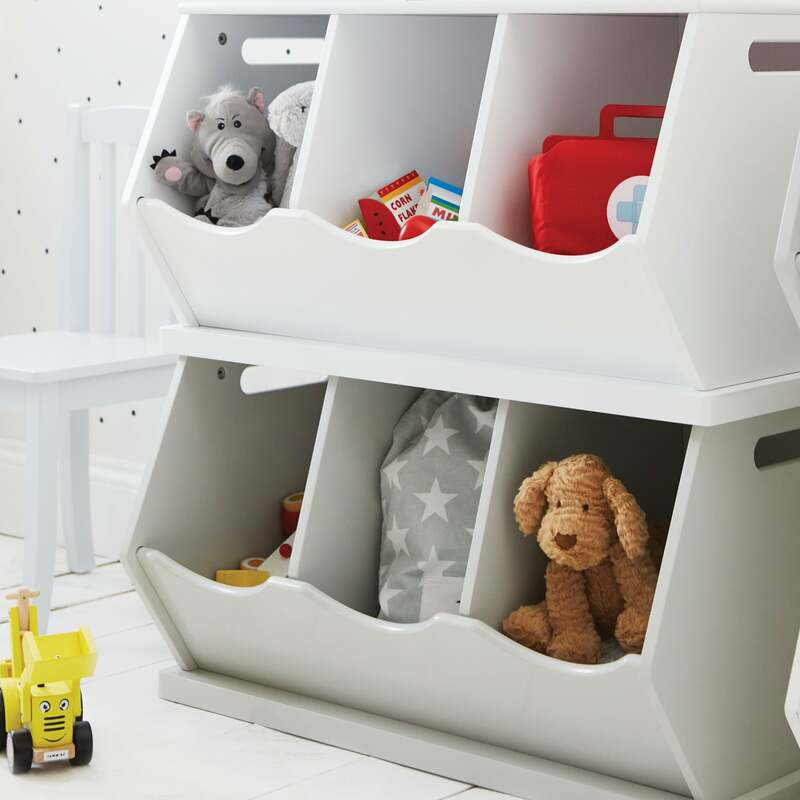 There are two other matching pieces available - the Rackham Toy Box and the Rackham Storage Tray; the Storage Tray always has to be placed on top. In the interests of safety, please stack up to four units only and always use the Anti-Tip Safety Straps provided. Finished in Bright White.